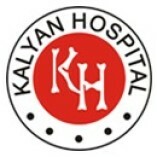 Kalyan Hospital is a well-established orthopaedic treatment centre in Punjab, India and performing all types or orthopaedic treatments and joint replacements treatments with customised or modern orthopaedic treatment techniques. Under the... supervision of our highly experienced ortho experts, we are performing utmost quality treatment without any hassle or pain. Check our official website for offers.